A quick look at the ministry here in Cofradia, Mexico, with the Director Steve Silberman. Come along side us and be part of what God is doing here by Praying, Coming, and Giving. Pray for wisdom with the governmental requirements of our new Religious and Civil Associations. Pray for the Holy Spirit to be poured out in this area! Come down on a Short-Term Mission team (click here for the Short-Term Missions Manual). Come down as an intern. Come down as a full-time Missionary. Give towards the ministry's operational fund. Give towards the support of local Pastors and Missionaries who are going out from Cofradia to other places. Give towards specific projects and/or ministries. *ALL GIFTS ARE TAX-DEDUCTIBLE AND CAN BE MADE AS A ONE-TIME CONTRIBUTION OR SET UP AS AN AUTOMATIC MONTHLY DONATION. *CONTACT STEVE FOR MORE INFORMATION REGARDING ANY QUESTIONS OR SPECIFICS ABOUT PRAYING, COMING, OR GIVING. 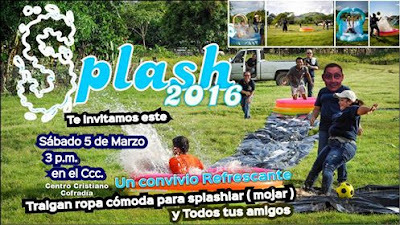 Next Saturday, March 5, we are inviting all the youth groups in this region to join us for an evening of "refreshing". Splash 2016 will be a kickball game using pools as the bases and soapy, wet tarps as baselines. It will be a Splash! We'll have a refreshing message from the Word to follow. Many of the events for the student ministry incur extra expenses and your donations help make this possible for us to do. Please partner with us by sending a one time or monthly donation to the Cofradia Student Ministry here. Thank you in advance! 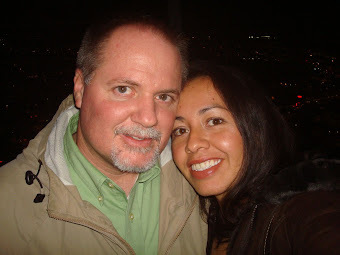 Thirty-nine couples came out to our annual “Date Night” for Valentine’s Day. It was a nice, relaxing time that couples were able to enjoy over a very good meal, some participated in games, and an excellent message from Doug and Jan Taylor. Through their message we were encouraged to live the Gospel in our marriage, life, and family, build relational bridges in the community, and serve those around us. Couples came from Cofradia, San Marcos, Las Pilas, Santa Fe, Arrayanes, Rosamorada, Tuxpan, Mojocuautla, Ruiz, and Mazatlan. In the end, three and a half couples raised their hands to say that they wanted Jesus Christ to be the Lord and Savior of their life. Thank you for those of you who prayed. Greetings from Cofradía! The dogs are barking; deep “woofs” of the larger ones and sharp yelps from the little ones. The distant howling of coyotes and the constant crowing of roosters make the sounds appear to be a planned, ongoing song with an occasional donkey braying as if it were trying to sing. It’s 4:30am in Cofradía. Soon the sounds will fade into the squeaky suspensions, the humming of vehicle motors, and the popping of tractor engines over men’s voices as they head out into the fields. It’s a new day and God’s creation is in action. Religious Association Status. Things are moving along quite well. We’re not sure how long this will take, but we’re making very good progress. 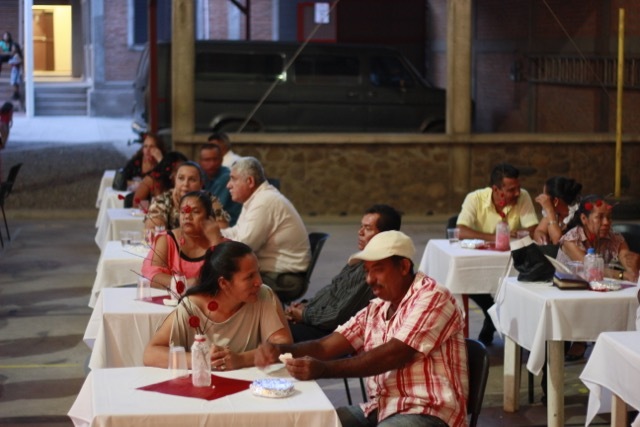 The Religious Association will be called “Centro Cristiano la Cofradia United”. Bible School. Many of the people who have taken classes for the past couple of years attribute the material we’ve been studying as having made a direct impact in their spiritual growth and maturity. It has been a huge blessing! We asked you to pray for those who still need help with their tuition; some have been able to pay while others still need help. Drug Rehab Center: We are still waiting, but a location has been chosen. Thank you for your continued prayers for this as we look forward to seeing this Center become a reality. Border Run. Thank you for your prayers. We had a wonderful time while we were in the states as we spent a week with my parents and another week with Geña’s sister along with a couple of visits at the Harrison’s and the opportunity to see some friends and Pastors in Bakersfield. Short-Term Mission Team: We had another great time as the team was able to connect and impact lives of the locals as we focused on “Healthy Families”. 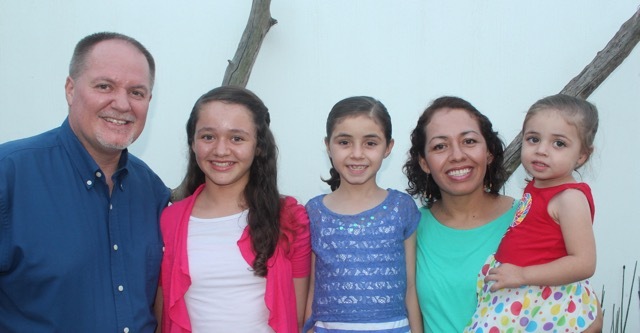 Our newest missionary members to Cofradía, Lain and Kelly Grant, came here on this same team last year; they have written a few words about this year’s experience and you can read them here. UPDATED Pastoral Perspectives: Click here to read bi-annual reports from three of our Pastors. Religious Association Status. The financial end of this issue is still in need; the minimal cost is $2,000 US Dollars in order for this to be accomplished. Please consider how you can help; click here to safely send a tax-deductible contribution online. Thank you. Bible School. Graduation will be here before we know it and some of the students still have been unable to pay their tuition. Of the ten students currently eligible for graduation in June, three of them are coming up short: Hugo Diaz ($70), Mily Garzon ($240), and Angel Martinez “Niko” ($390). If you know one of these people and want to help, I can share with you instructions on where to pay. Or if you’d like to help any of them, simply send a general donation to Cofradia with a special note of “Cofradia Tuition”. Drug Rehab Center: Continue to lift up Pastor Amado in prayer as he works with the local government to get this project running. Date Night. Our annual Valentine’s Date Night is tomorrow! 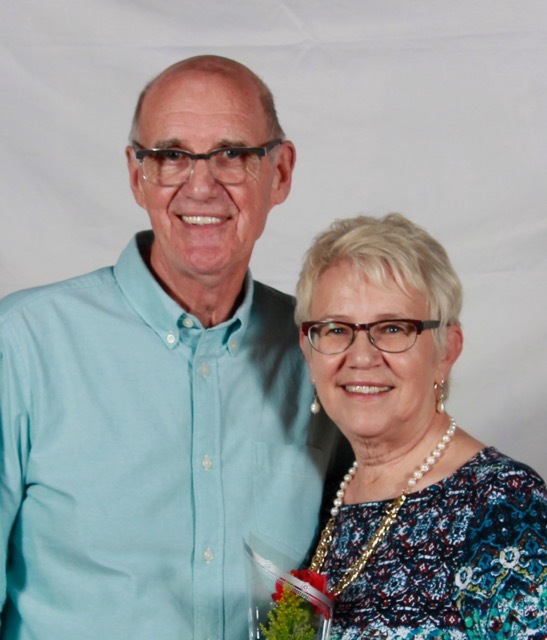 We will have the privilege of having Doug and Jan Taylor once again as our guest speakers. Church Anniversary Celebration. On Sunday, March 6, we will be celebrating 5 years since our inauguration of the building. Pray for the evangelistic opportunity that this brings. Here are the reports from the local pastors in Cofradia. They receive very little for what they do and any donation you can make to them is appreciated. You can click on their name to safely donate online. The bible college that is providing us with brothers and sisters who are equipped to do the tasks that GOD entrusts to each one. The Freedom in Christ conference we hosted in December that was good preparation for those who attended that will help others learn to live free in Christ. And we know that all this isn’t just a blessing for the church but also for the town in general—that is, for those who will enter the church in the future. In the area of worship, Hugo’s efforts as Worship Minister really stand out; we are extremely grateful to God for the work He is doing through him. During 2015 he was in charge of leading us in worshiping God on many Sundays, and I am certain that he will continue growing in this area. Each one of the Cofradía Christian Center leaders has incomparable potential. For all of this and more we are grateful to all of you for your support in prayer and intercession as well as in finances. I tell you that what you are doing out of love for GOD is not in vain. It is translating into lives transformed for the Lord Jesus Christ, and you are all a part of that!! Our passion is to continue reproducing what God has done in Cofradía, in communities both near and far, and to continue living out the Great Commission in Matthew 28:18‐20. We thank you in advance for your continued and future support. Please be praying for this year’s theme: “Free to Live, Worship, Preach, and Pray.” And as always, we are so grateful for your passion and dedication to God. Greetings, and may God bless your lives through Jesus Christ, His beloved Son! In recently days we have been enjoying God’s blessing in new ways as we have continued to know Him better each day, both in His personality as much as in His fullness. He is manifesting Himself in our lives, our ministry, and our church. 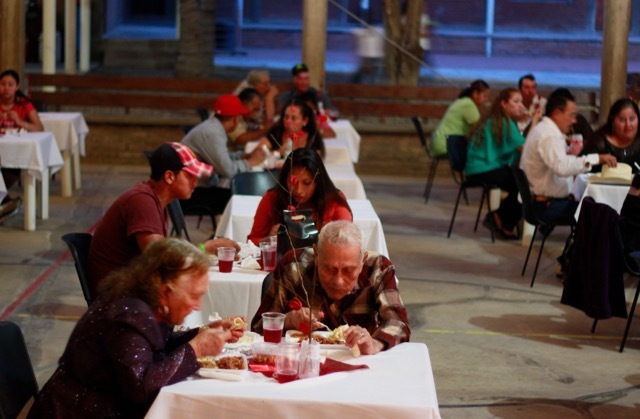 THE CHALLENGE (EL RETO), the event for which we asked for your prayers earlier this year, was excellent and provided many opportunities throughout all the activities to talk about all the aspects related to Identity. Over the course of the event, we taught the youth about who Christ is and about His forgiveness. That great truth was planted in their hearts, and God will make His Word prosper in them. We also enjoyed the participation of other church youth groups, one of which continues to bring their youth to our weekly meetings to work together as partners in ministry, which is part of our vision for the youth. The youth leaders and I are still passionate about pursuing the youth and gathering them together each Saturday and grow deeper roots together in the love of God. Carolina and her studies and for our adjustment to her absence. Unity for us as a family. The new members and attenders to our youth group. Growth in the youth who are already established in the group. May God richly bless your lives and those of your families. Thank you for your generosity to us. Hello, brothers and sisters. As always, it is a pleasure to greet you once again. I hope that you are all well. I assure you we are all well, though I tell you that because my wife, María, was ill for a month with a digestive ailment, which was complicated by her diabetes and therefore necessitated two or three rounds of treatment.Though she lost quite a bit of weight in the process, she is finally recovering well. In ministry we are still confident in and grateful to God for all things. We continue ministering in the Cora community of Mojocuautla. We are organizing the distribution of the Operation Christmas Child boxes, praying that many children will receive the love of Christ through that event.